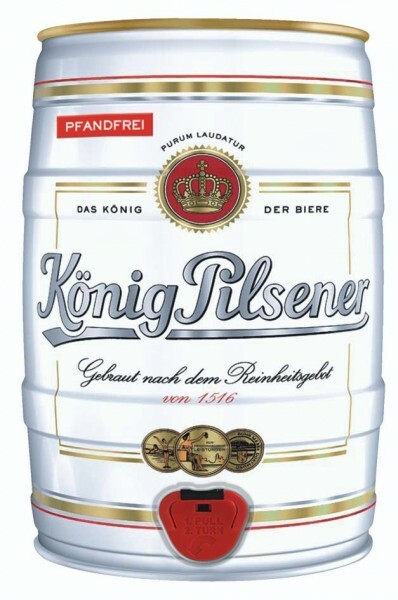 Product information "Koenig King Pilsener 5 liter party keg 4.9% vol"
with tap - no dispenser necessary. Can also be pierced with dispensers. König Pilsener is the first premium German Pilsener at home wherever the highest quality is the measure of all things. No other beer brand combines success and class as perfectly as King Pilsener - what a beer! Related links to "Koenig King Pilsener 5 liter party keg 4.9% vol"
comment "Koenig King Pilsener 5 liter party keg 4.9% vol"
Customer evaluation for "Koenig King Pilsener 5 liter party keg 4.9% vol"